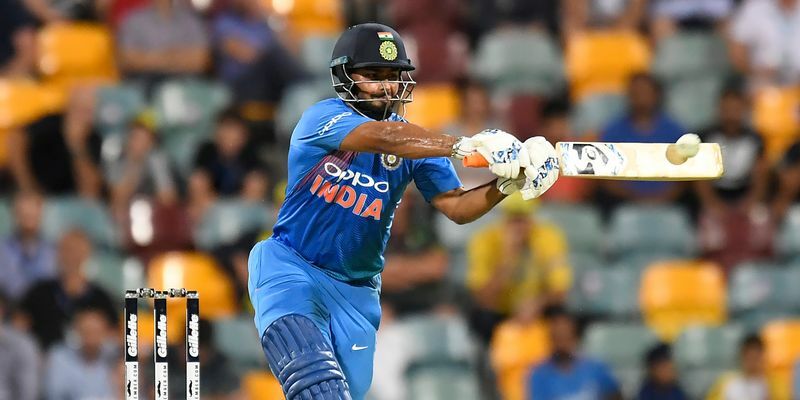 Sourav Ganguly has talked up Rishabh Pant’s chance of securing a permanent spot in the Indian limited-overs team as the number six batsman. The former skipper also added that skipper Virat Kohli should be played at number three rather than number four in the Indian batting line-up. Team India registered back-to-back wins against Australia and New Zealand in ODI series against both the nations over the course of the first two months of 2019. While Virat Kohli & Co. beat Australia in a historic 2-1 win, they thrashed the Kiwi team by a margin of 4-1 earlier this month. Although they were beaten by Kane Williamson & Co. in the subsequent T20I series by a margin of 2-1, Rohit Sharma’s boys did enough to show that they are one of the top teams around at the moment across all three formats. Former India captain Sourav Ganguly reckons that the Indian batting line-up looks dangerous but suggested that Delhi youngster Rishabh Pant should be given a fair chance to prove his worth at number six. “So, if these are your top four batsmen and then MS Dhoni comes with Kedar Jadhav at No.6 and Hardik Pandya at No.7. Dinesh Karthik will also be there and India should undoubtedly play Rishabh Pant in these five ODIs and play in the top-order and we can see if he is your match-winner at No.6 because Pant as a batsman can win you matches. So, giving him chances will be really important,” Ganguly said in IndiaTV’s show Cricket Ki Baat. In addition to this, the former left-handed batsman also revealed that he would like to see Kohli come in at number three rather than number four. Ganguly explained that the top three of Rohit Sharma, Shikhar Dhawan and Kohli is India’s strength. “Virat Kohli will be coming back in the series to play at No.3. I was reading in the papers that Ravi (Shastri) wants him to play at No.4 but I don’t know who will play at No.3 then. Maybe Ambati Rayudu will play at No.3 with Kohli at No.4 but I don’t think that it is the right move because Kohli at No.3 is a huge player and this is India’s strength in ODIs - Shikhar Dhawan, Rohit Sharma and Virat Kohli,” he added.